A small, but important victory for the Humboldt marten was announced recently! Thanks to a lawsuit from our friends at Cascadia Wildlands and Center for Biological Diversity, the Oregon Department of Fish and Wildlife has agreed to issue new (and critical) regulations that address one of the sources of human-caused mortality for this endangered species: trapping. Even though there are only roughly 200 Humboldt martens in Oregon, trapping is permitted. As such, conservation organizations, including Oregon Wild, filed a petition last year asking the Fish and Wildlife Commission to ban trapping. In August they accepted our petition, but agency staff failed to issue new regulations before the beginning of the 2018 trapping season. However, because of this recent lawsuit, ODFW has agreed to issue new regulations before the start of the 2019 trapping season. While trapping can be one source of mortality for the imperiled marten, the other major cause of human-caused mortality is animal vehicle collisions (AVC). In central, coastal Oregon, Humboldt marten habitat is extremely fragmented, much of it divided by Highway 101. This creates a tough situation for martens trying to cross the road to find “greener pastures”. Speed bumps, proper signs, and wildlife passages would all help contribute to the species’ safety. As our neighbors to the north are starting to experience, safe wildlife crossings, like tunnels and bridges,are a great way to ensure a variety of species are able to travel safely to suitable habitat. Not surprisingly, Oregon lags behind other states when it comes to building infrastructure for safe wildlife passing. 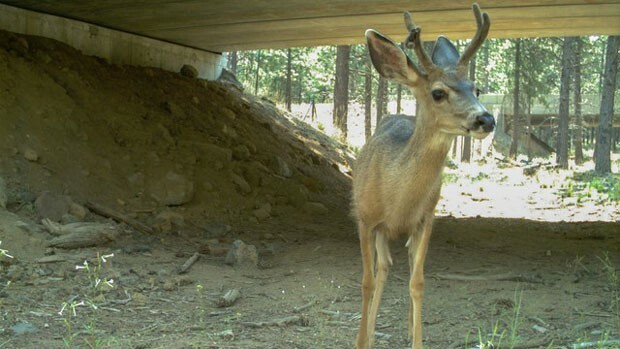 In Central Oregon, however, people and humans alike are reaping the benefits of a wildlife tunnel that was built in 2012. An 86% decrease in AVCs is definitely something to celebrate! It’s now time for the rest of Oregon to get on board and start to prioritize (and fund) safe wildlife passages all over the state. It’s always a breath of fresh air to look at these amazing photos of wildlife. Here is a sneak peak at the winners from 2018! Is this what leadership looks like? Sure would be nice for Oregon decision-makers to ban coyote killing contests. The power of one. Thanks David for your compassion and dedication to saving the Burrowing Owl! Are you passionate about Oregon’s wildlife? Do you want to ensure we have independent, scientific-minded individuals appointed to the Fish and Wildlife Commission? Then be sure to sign up for this year’s Wildlife Lobby Day in Salem on February 21st . Anyone from any part of Oregon is more than welcome to join us as we meet with our elected officials to talk about the need to protect the state’s wildlife. Please be sure to RSVP and we’ll send you more information as the date approaches. Hope to see you there!